FareShares food coop Crampton Street, London | Not a shop. An experiment in Community! An all-volunteer project. Fareshares is a non-profit-making community project that stocks simple unadulterated food (often called wholefoods) and related products. It was set up in 1988 by local people to provide good food for the community at affordable prices in the belief that decent food is a basic necessity for health, regardless of means. The co-op stocks grains, beans and pulses, fresh bread, fruit and veg, dried fruit and nuts and other food and household products. 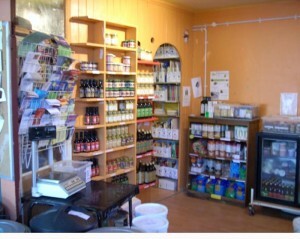 Most stock is organic and everything is bought in bulk and sold as cheaply as possible. In addition the shiftworkers and any others who help fareshares take no wages and we add only a small margin to help cover running costs. Fareshares supports patterns of consumption that promote social justice and sustainable agriculture and fosters an awareness of the political and ecological effects of consumer actions. To do this as much stock as possible is organic, local and ethically sourced. All of it is animal, sugar and GMO-free. Wherever possible we support other co-operatives and collectives that work for the same aims. The store is open to anyone who wants to use it. It operates on a DIY-basis, where you bring your own bags, weigh out and price up the goods you want, and add up the total cost of the things you’re buying. You can usually find paper, pens and calculators next to the scales. If you need help, haven’t used fareshares before or can’t find something ask the shiftworkers, who are also there to collect the money for what you take. The co-op is run on an entirely voluntary, unpaid basis by the people who use it. Fareshares encourages all users to become active in running the project. 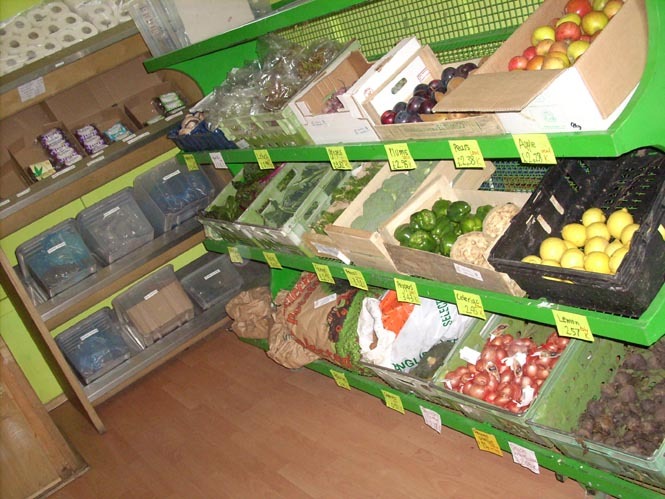 People can get involved by volunteering for a regular two-hour shift, helping out behind the scenes (eg, re-stocking shelves on Wednesdays) or working on occasional activities, such as maintenance or spring cleaning. 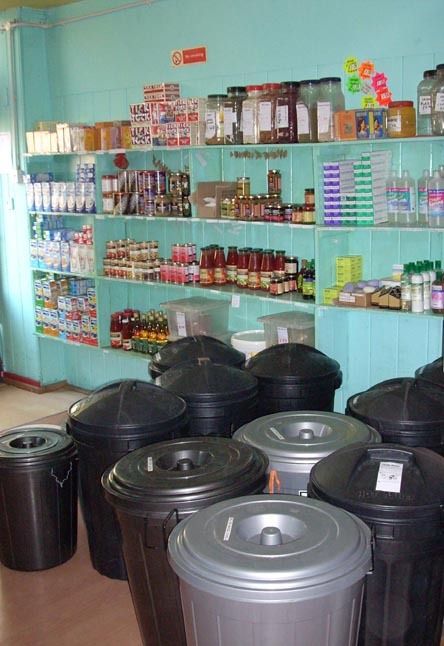 You can also do your bit when visiting fareshares by keeping things clean and tidy – especially if you spill stuff – or offering to refill empty shelves and jars. To get involved speak to a shiftworker and leave your details in the daybook. Please leave what you can in the donations jar as we need about £250 each month just to cover rent, bills and basic running costs. Extra money helps us replace equipment, make repairs, improve the building and buy in new or seasonal products. Every little helps us chip away at the social and economic dominance of the supermarket giants and corporate food producers.